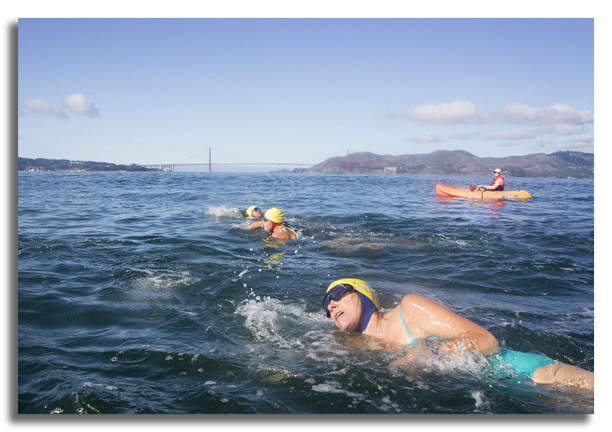 October 19, 2015 marked Pathstar’s 13th annual Alcatraz swim for Native Americans from tribes throughout the US and Canada. Thirteen swimmers spent the week prior to the swim busily preparing through healthy eating, physical training and togetherness. 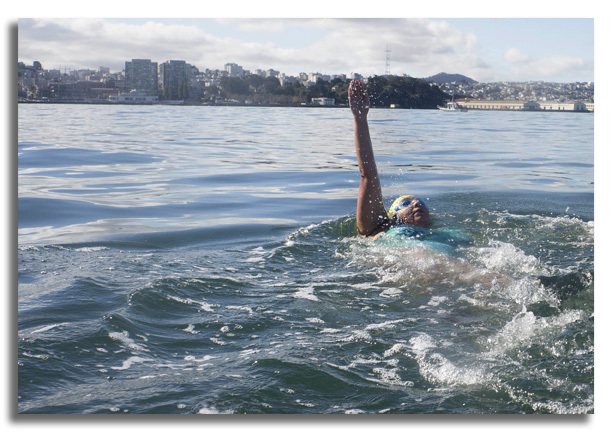 After the challenging swim from Alcatraz, they returned to their communities to share and serve as catalysts for improved health and well-being for all. 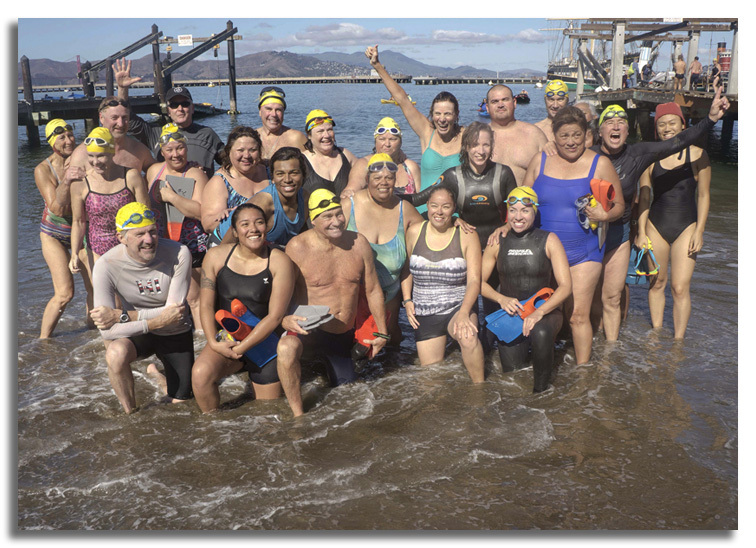 In addition to the annual swim, Pathstar participants work together throughout the year to continue what they have learned and shared in their October swim week. Pathstar participants have been dynamic in their communities. In January 2015, a Pathstar team presented a workshop at the 17th Annual Native Diabetes Conference in Arizona. In March, Pathstar held two workshops at the 14th Annual Native Women & Men’s Wellness Conference in San Diego. Pathstar participants from the Colville Confederated Tribe in Omak, Washington, held their second annual “Take Charge of Your Health Tribal Triathlon.” These are just three examples out of many that have grown out of the vision and mission of Pathstar. Kelly Ann Brown Foundation gave two grants to Pathstar in 2015. We felt compelled by the news of the suicide epidemic of teens on the Pine Ridge Indian Reservation to give a grant in April so that Oglala Sioux tribal member Amanda Carlow and Pathstar founder Dr. Nancy Iverson could attend an Oxford Symposium in August 2015 and address this crisis on a worldwide stage. Sadly, between January and May of 2015, twelve young people committed suicide on Pine Ridge. Suicide is the second leading cause of death for Native American youth ages 15 to 24 years old. According to the Substance Abuse and Mental Health Services Administration, a branch of the U.S. Department of Health and Human Services, that number is 2.5 times higher than the rest of the US population. Pathstar’s leadership and activism led to the formation of an international suicide prevention team during the Oxford Symposium with a focus on the Pine Ridge Reservation. The international team consists of counselors, social workers, psychologists and mental health workers including Ms. Carlow. Click here to learn more about Pathstar.